Franz Ferdinand have always known what their sound is; as do their fans and the public, for many can identify the funky, rock beats underneath Alex Kapranos’ voice as only Franz Ferdinand’s. Their personal style has stuck with them since their self-titled debut album was released in 2004, which nobody should complain about, since an indie, alternative sound such as theirs is coveted in today’s music scene. Bands like Arctic Monkeys are authentic to themselves, but have clear inspiration and similarities to the original dance-rock sound that Franz Ferdinand truly let encompass them. 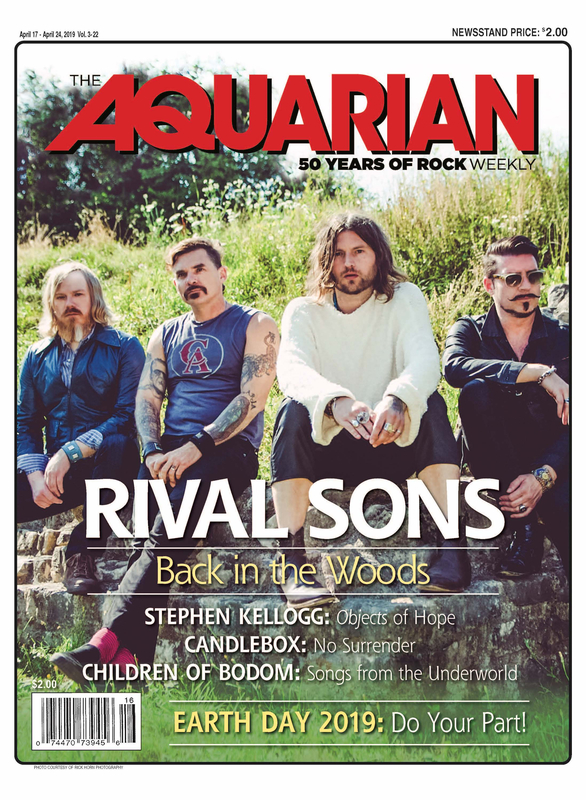 The Aquarian received an advanced copy of their new album (out on Feb. 9), so that we could take a listen to it and give you the lowdown on Glasgow’s quintessential artsy rock group. Always Ascending will be the band’s fifth studio album, coming almost four and a half years since their 2013 studio album, Right Thoughts, Right Words, Right Action. Over that time, they worked with American post-punk band, Sparks, to create a supergroup called FFS and released an album under the same name. Also, Nick McCarthy — their beloved, original keyboardist — left the band to be home with his family more often. (An honorable discharge, in my opinion.) Nevertheless, Franz is back, having been excited and amped up as they’ve begun their journey to this new album; the essential rebirth of their band and their sound. The first two tracks off the album, as well as the ninth, are singles that have been out for the past few weeks and came with music videos that are equally as reminiscent and experimental as the songs are. I was about 25 seconds in their third track, “Paper Cages,” when I had that feeling of new, imaginative music from a band that has been around and has a distinct vibe to them. In “Paper Cages” you hear hints of The Strokes, a little bit of Queen, and the exact style that only Franz Ferdinand can bring to the table. But, like I said, it feels new. This sound specifically gave me that feeling of creativity, modernity, and growth that the group clearly set out to make prominent in this new album. There is a catchy chorus, verses that are a cross between show-tunes and spoken word, and — as always — a beat filled with so much electricity I guarantee will have your foot tapping or your head bobbing. Have you ever heard a song so swift, yet so shocking, that you don’t know if you have a strong adoration or a strong distaste for it? Personally, that is how I felt upon listening to “The Academy Award.” I listened to the song a couple times through, proving that my dislike wasn’t too strong, but yet, I never necessarily wanted to listen to the song. It is interesting, for it tells a story that is haunting, including lyrics such as “Show me the body…” that seems to go hand-in-hand with the unsettling acoustic guitar that plays in the background. Just two tracks later, a song entitled “Huck and Jim” rolls around, which is quite possibly the most intriguing and bizarre song on the album. Thus, making it one of the best. The allusion in the title to Mark Twain’s almost 125-year-old novel, Adventures of Huckleberry Finn, had me sucked in right off the bat. Why would Franz Ferdinand be referencing a book that, while important to history, is most commonly known because of its precedence in high school English classes? Well, as the cleverly written lyrics go, they’ll be “sippin’ 40s with Huck and Jim.” You might want to listen to the song in all of its three and a half minute glory to fully understand what the song is saying. It’s interpretive, vocally diverse, and changes the game for Franz Ferdinand’s sound (in the best way). The album closes with its tenth track, “Slow Don’t Kill Me Slow,” the five-minute ballad that feels awfully like it should be in the score of a movie soundtrack. The latter end of the track alone amazed me, proving the band’s instrumental abilities without making me feel lost from the lack of lyrics. The album feels natural and honest, as if all of Franz Ferdinand’s creativity and strength was put on the table for the world to hear. There are moments of reflection, feelings of narration, and multiple aspects that can be found of the talented, Scottish indie rock band that people fell in love with many years ago. Debra K! great review again…you rock!